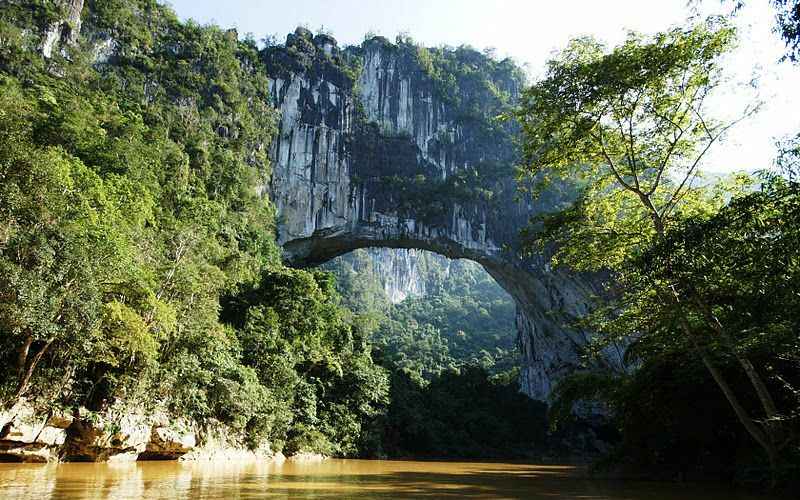 This bridge is called the Fairy Bridge (Xian Ren Qiao) or Bridge Fairies, it was formed when the limestone karst mountain cut through the river Buliu. 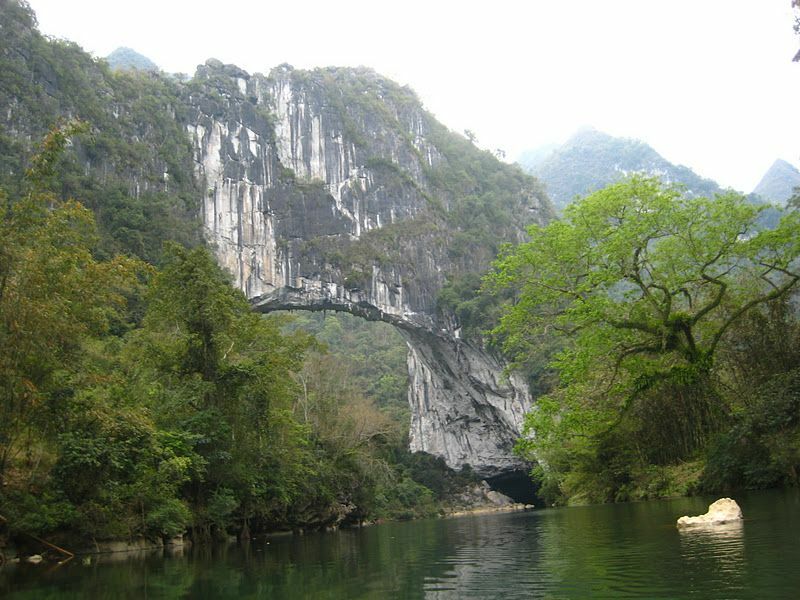 Fay is a bridge about 40 km (straight line) northwest of Fengshan in the northwestern province of Guangxi, China. 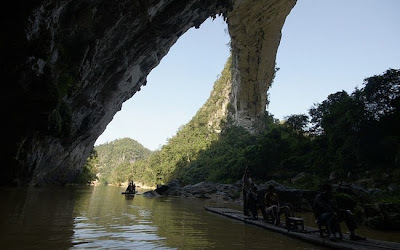 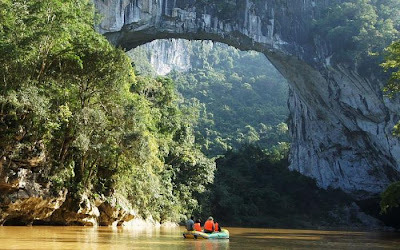 Until recently, this place was not known outside of China.In 2009, explorer and adventurer Jay Wilbur looking at google map I saw a huge natural formation on the river in China. 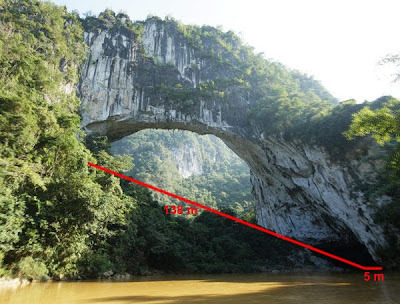 By his estimation Bridge Fey (Fairy Bridge) could be the largest natural bridge in the world. Since then, he set about trying to visit this place, but it was not an easy task. The first attempt to get to this point has failed. 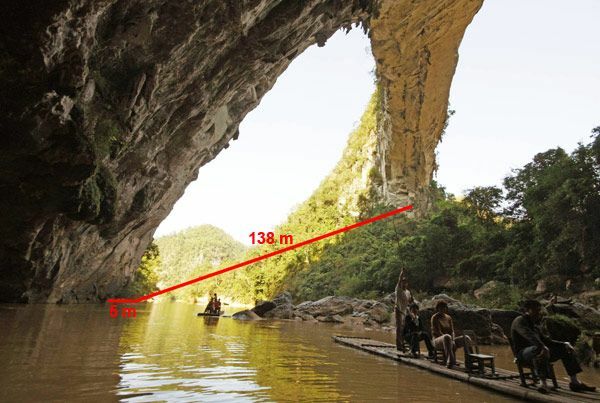 In 2010, he still managed to get to the bridge and measure it. This bridge is the world's largest natural bridge. Its length is 138 meters and a height 71metr. 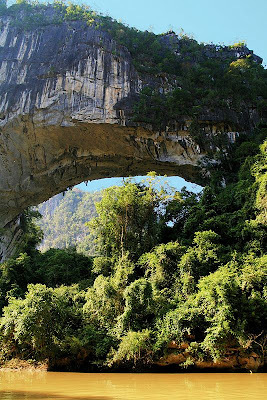 Because of the rugged terrain to admire this beauty can be only having done the hard way, overcoming several thresholds. 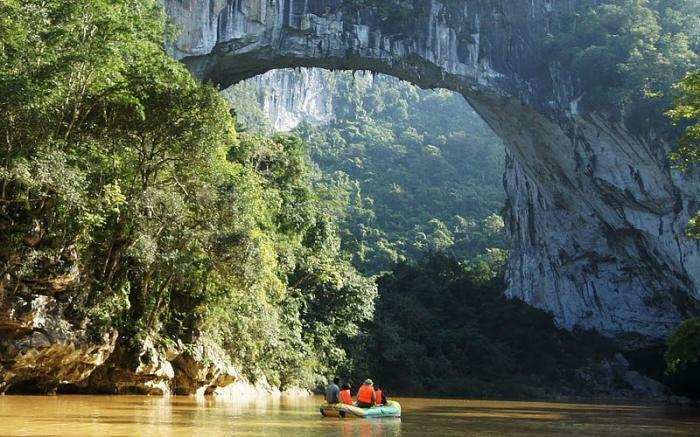 You can only get on bamboo rafts or rubber boats.